The Legend of Zelda: Ocarina of Time 3D Transforms the Nintendo 64™ Classic Visuals Into Stunning 3D! In this game, Link sets off on a legendary journey through time to stop Ganondorf, the Gerudo King of Thieves who is seeking the Triforce, a holy relic that gives its holder ultimate power. The graphical upgrades and three-dimensional depth breathe new life into the expansive world of Hyrule. An improved and intuitive interface, coupled with the easier navigation offered by playing in a world with 3D visuals, give players better control as they solve puzzles, travel through time and explore this immersive world. 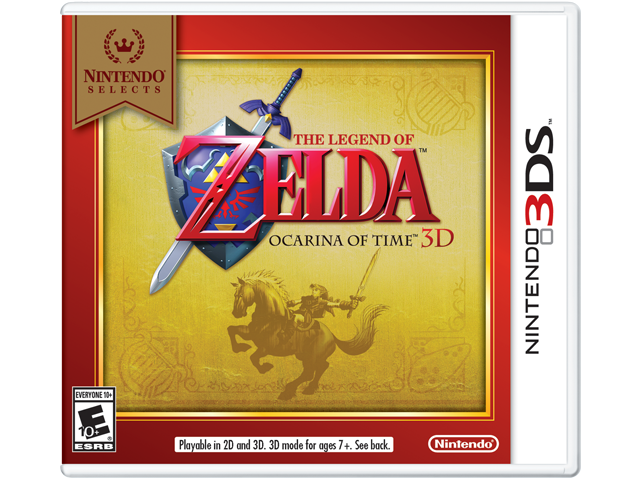 Whether you're a first-time player or a regular visitor to Hyrule, The Legend of Zelda™: Ocarina of Time™ 3D is a new adventure for everyone.